Los precios de los productos y la disponibilidad son correctos a fecha 2019-04-23 04:59:03 BST, pero pueden cambiar. La información de disponibilidad y el precio correctos serán los que se mostrarán en http://www.amazon.es/ cuando finalice la compra. 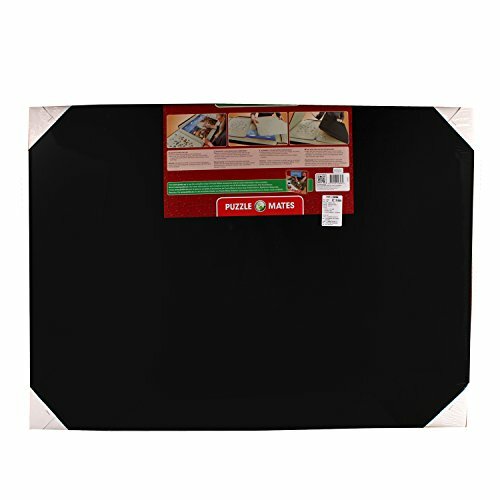 Consigue de forma segura, rápida y al mejor precio el fantástico Jumbo 10806 - Alfombrilla con soporte para puzzles de 1500 piezas por Jumbo Spiele Gmbh. 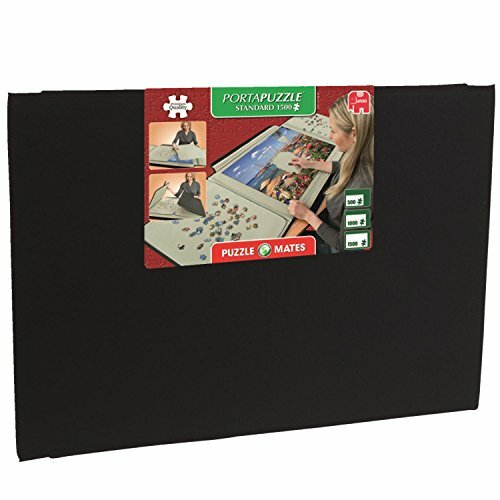 The Puzzle Mates Portapuzzle range is a collection of robust puzzle boards, and inserts, that when closed are able to keep every one of your jigsaw pieces safe. The Portapuzzle range has a unique specially designed lining that keeps puzzle pieces in place and also provides the ideal surface to puzzle on. Light weight and robust, the Portapuzzle can be easily transported and stored away to keep your house clutter free.The Portapuzzle Standard allows you to build your jigsaw puzzle in the centre of the board - the side panels and the removable panels can be used for sorting pieces. When you have finished working your puzzle, place the removable panels over your jigsaw, take the pieces from the side panel and close the side panels over the centre panel. Fix the central velcro strap then close the Velcro straps at the top and bottom of the board. 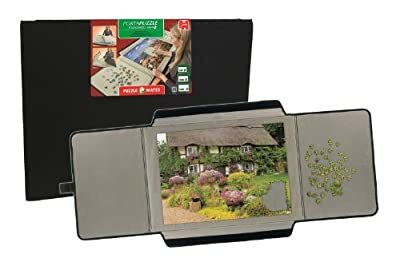 Your puzzle is now safe to move around or store until you want to work on it again.Suitable for most standard jigsaw puzzles up to 1500 pieces (measuring approximately 90 x 60 cm) the Portapuzzle Standard?s closed size measures 91 x 65 x 3cm (approx.) and when fully opened on a flat surface measures 165 x 58 x 3cm (approx.). The two additional Portapuzzle boards measure 53 x 39cm (approx.). 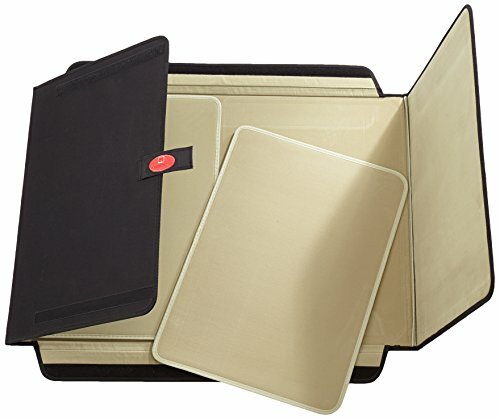 Puzzle accessories are a great way for puzzlers to keep their jigsaw pieces together and organised. 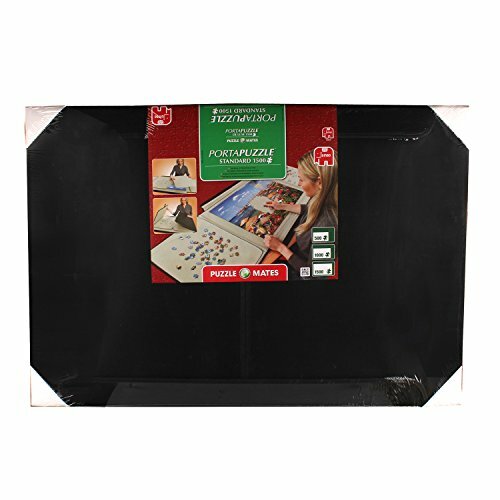 Jumbo?s range of Puzzle Mates puzzle storage solutions meet the needs of everyone and the Standard Portapuzzle is the ideal product for this.